Very friendly hosts. Beautiful views. 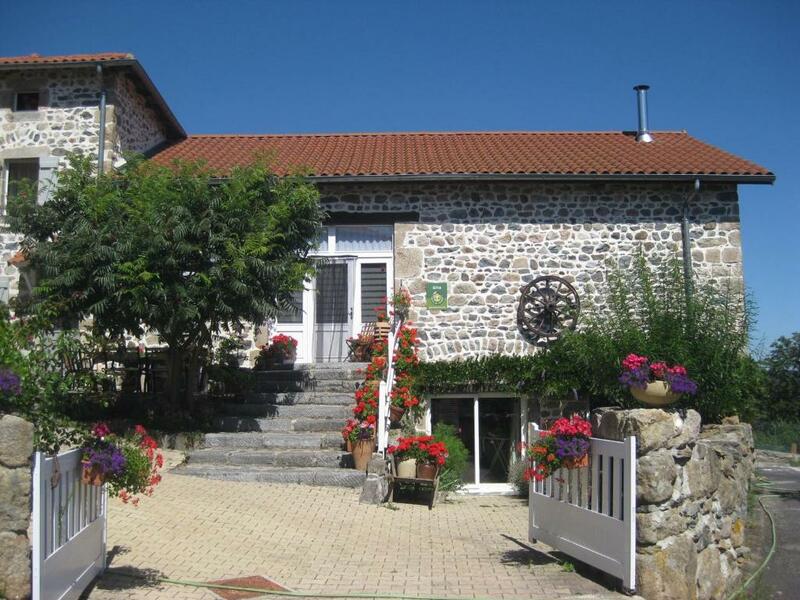 Large comfortable gite. Quiet and peaceful location. Great hosts, beautiful home, beautiful position. Great patio to relax and have a glass of wine looking at the panorama. The tennants were very kind and helpfull, they gave a lot of information about the region and they offered me vegatables from their garden, those were delicious! The gites was comfortable and verry well equiped. Very warm and friendly welcome. Lovely location nice appartment. Good books and maps available. Spotless and well provided with utensils etc. Excellent hosts and the site spotless and good shower and kitchen. The Dining kitchen well equipped, however not really great for evenings and days in. There is no outside view from the room, which would have been fine later in the year as there is a lovely outside covered space, but it was unfortunately a bit cold and windy to sit outside for a fair bit of the time. We were a bit disappointed that the village had recently lost its only shop and cafe, the nearest was not in walking distance for us. We had really wanted a village where we did not feel we had to go out all the time. Andrew and Sue could not have been more hospitable and I would certainly return later in the year. Nous avons tout apprécié : la sympathie et la gentillesse de nos hôtes. Le logement était d'une grande propreté et son équipement très complet. Le petit-déjeuner nous a beaucoup plu : copieux, diversifié, produits frais. Si l'occasion se présente nous reviendrons chez ce charmant couple anglais! Schönes Zimmer mit herrlicher Aussicht vom Bett aus. Leckeres Frühstück. Bei Ankunft am Nachmittag gab's gleich noch einen guten Tip. Sehr herzliche Gastgeber, die uns wertvolle Tipps zu Unternehmungen gegeben haben und uns auch sonst unterstützt haben. Schöne Sitzmöglichkeiten im Freien und eine wunderbare überdachte Terrasse. Die Wohnung war sehr geschmackvoll und bequem eingerichtet. Die Betten super bequem. Die Gastgeber sehr nett und zuvorkommend. Die Lage ist super. Man kann tolle Ausflüge in die Umgebung machen. Die Terrasse ist ausgesprochen schön und interessant. Absolut empfehlenswert. 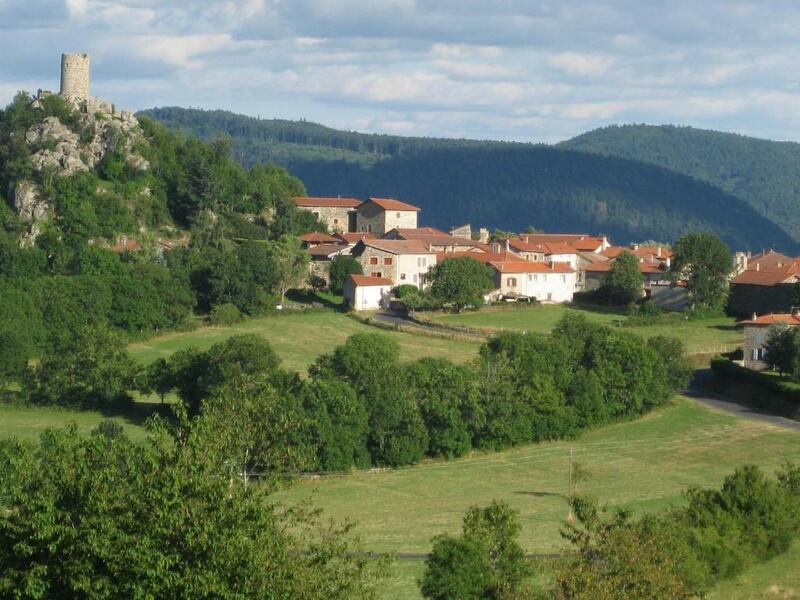 Lock in a great price for Au Pied de la Roche – rated 9.8 by recent guests! 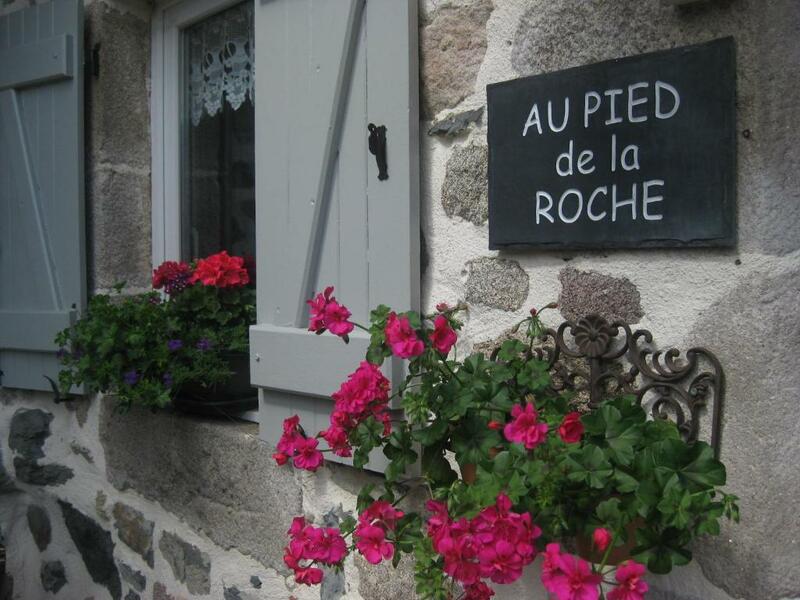 Au Pied de la Roche is a self-catering accommodations located in Roche-en-Régnier. Free WiFi access is available. The apartment will provide you with a TV, a patio and a terrace.There is a full a kitchenette with a microwave and an oven. Featuring a shower, private bathroom also comes with a bath or shower and a hairdryer. You can enjoy mountain view from the room. At Au Pied de la Roche you will find a garden, barbecue facilities and a terrace. The property offers free parking. 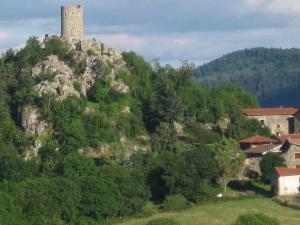 Clermont-Ferrand Auvergne Airport is located 54 mi from the property. This property also has one of the top-rated locations in Roche-en-Régnier! Guests are happier about it compared to other properties in the area. 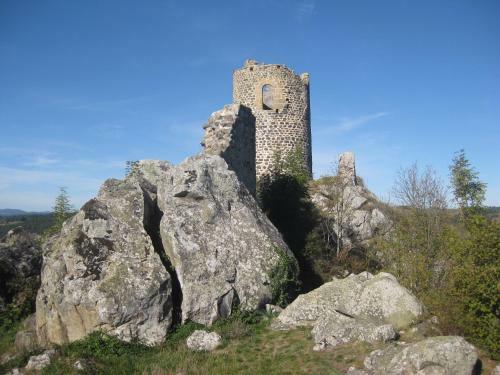 This property is also rated for the best value in Roche-en-Régnier! Guests are getting more for their money when compared to other properties in this city. When would you like to stay at Au Pied de la Roche? This apartment has a private entrance, soundproofing and CD player. 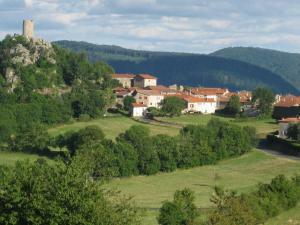 The gites are popular both with families and couples.Guests return for the tranquility that this setting affords. For walkers the St Jacques de Compostelle passes the house and there is easy access to numerous walks and trails straight from the house without the need to drive. 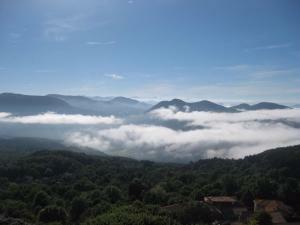 The house offers stunning views of the nearby Ardeche mountains from the terrace. We purchased the farm house in 2006 and slowly and lovingly, sympathetically to tradition, restored it over the years. The old barn has been converted into 2 gites,which are now available for rental. What initially attracted us to the area was a love of the outdoors, as we are keen walkers. The flora and fauna is amazing and views to die for. It was love at first sight. Early retirement from the teaching profession has enabled us to divide our time between France and England. House Rules Au Pied de la Roche takes special requests – add in the next step! Please inform Au Pied de la Roche of your expected arrival time in advance. You can use the Special Requests box when booking, or contact the property directly using the contact details in your confirmation. Really only the fact that there was no view from indoors and the window in the bedroom was small and we had to shutter it as the street light shone straight in on us .